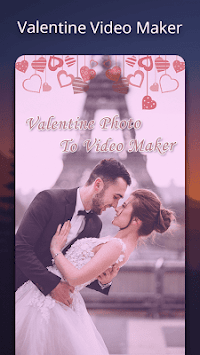 Valentine Video Maker with music is the easiest way to create and share amazing love music videos, slideshows and love stories with your photos, videos and free music. Valentine Video Maker is create beautiful videos from your memorial Images for your loved once. 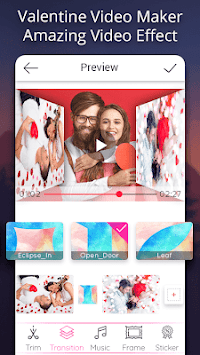 You can select love video themes from videos themes and add your romantic love photos with your beloved in to valentine video.